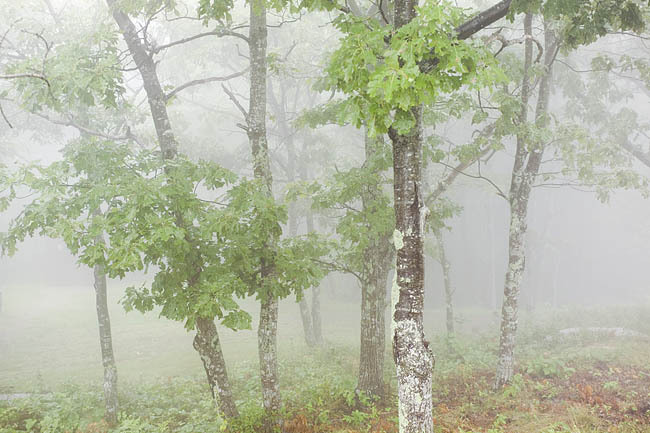 Fog and Trees, Mount Battie. Camden Hills State Park, Maine. 2005. Welcome to the September 2005 edition of the Stephen Johnson Photography Newsletter. As always, we hope you enjoy this edition. Don't miss the Beauty in Photography Seminar, the Fine Art Digital Printing, the Fundamentals of Digital Photography, and the Yosemite in Autumn workshop October 14-16. 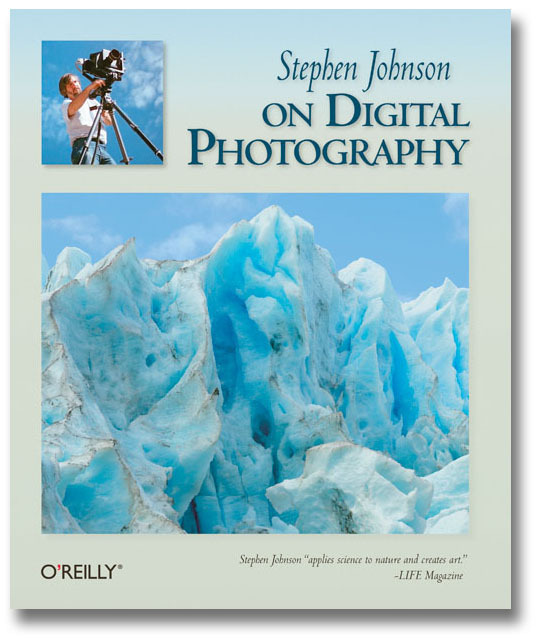 O'Reilly Media announces a collaboration with Stephen Johnson to publish his next two books, Stephen Johnson On Digital Photography and the long-awaited With a New Eye; The Digital National Parks Project. Stephen Johnson Studios & Gallery Pacifica, California. 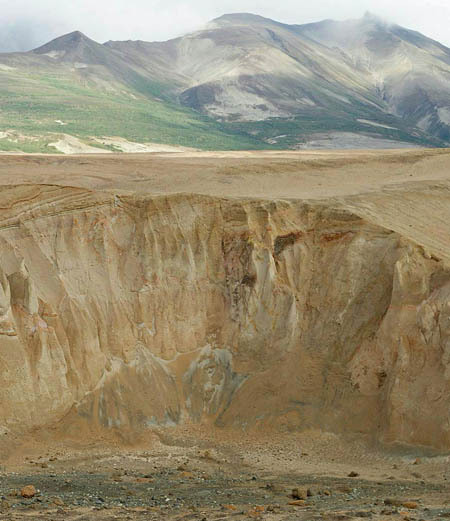 Ash and Mountains, Katmai National Park, Alaska. 1995. Walking through the Valley of Ten Thousand Smokes was an ethereal experience. The water-carved ash cliffs seemed 80 feet high, the abstract forms contrasted strangely with mountains behind. It felt like we were walking through another world, unlike anything I had even seen, and living up to it's mysterious name. I kept wondering what it was like eighty years ago just after the volcanic eruption, when the valley was full of steaming geysers from the water below forced up through the hot ash. We're offering an 11x14 inch print, matted to 16x20 and ready to frame for $195, framed for an additional $75. This print at this price is offered through September 31. We'll be taking orders until then, and shipping them out by October 15th. We have been very concerned about the human tragedy of Hurrican Katrina's damage to the Gulf Coast. As part of a tradition we started in response to the Southeast Asia Tsunami in January, we are going to use our monthly featured print program as a way to raise money to aid relief efforts. Therefore, we will donate 100% of the monies coming to us for this month's print. Our labor and materials will be donated. The money will go to the American Red Cross. 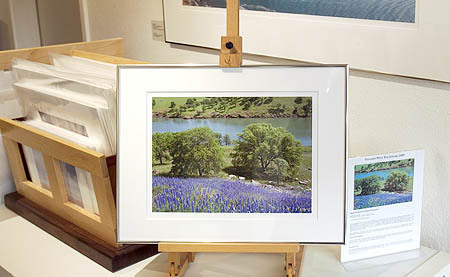 This workshop focuses exclusively on fine-art digital printing, primarily using Epson inkjet printers. Concentration will be on inkjet printing with color pigments and black/gray ink combinations on coated and rag papers. 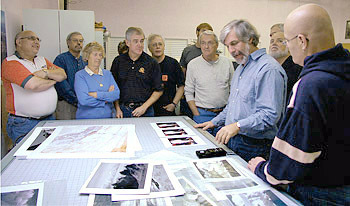 Learn from the digital pioneer how he obtains his impressive results during two days of printing demonstrations in the studio. This is an exciting exploration of photography's powerful new digital tools with one of the most knowledgeable artists in the field. This class is designed to provide you with the background and understanding to transition your work into the digital realm. The digital basics are covered here, in real world terms, with care to make sure the concepts are understood and the complications simplified. 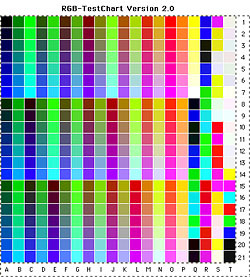 Those basics are built on to tackle the thorny issues of camera design and choice, data storage, color management and printing. These two days are designed to breakdown misunderstanding, build enthusiasm and make clear fuzzy concepts that can hold your work back from feeling comfortable and in control. Many experienced photographers have taken this class and raved about its helpfullness in their digital transition and understanding. The fall colors of Yosemite offer photographers a wide variety of hue and texture. As the weather cools, the valley begins to change, subtle and beautiful colors start to emerge. 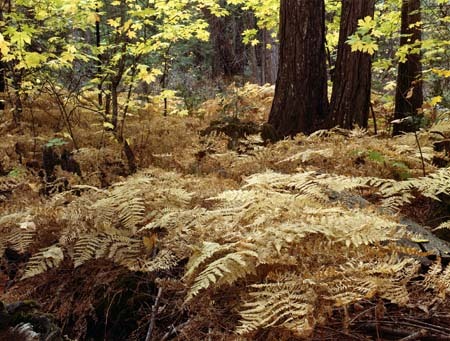 People begin to disappear, bright greens turn to browns, yellows, blacks and golds. The valley smells fresher, the air clears and invites the walking we will be doing during this workshop. We'll spend three activity packed days in the valley, sometimes rising before dawn and lingering for the last moment of twilight. The trip is designed to be an in-depth landscape photography workshop in the context of this digital age. We will discuss technical and aesthetic issues, tapping into your emotional response to this landscape, working toward images that are uniquely your own. The coastline of San Mateo County is one of the most beautiful stretches of land and sea anywhere. From eroded, rocky shorelines, to cliffs, long beaches, redwood forests and small towns, this coast is complex and varied. We'll spend the days roaming the coast and mountain roads, stopping at state parks, county parks and checking out the lunch options along the way.The workshop will be a dynamic combination of a traditional landscape photography workshop while diving deep into the digital age. Technical and aesthetic considerations will be discussed in detail. Our concentration will be on controlling your camera's operation to achieve your desired technical results, while building composition and visual skills to make the photograph what you want it to be. Digital exposure and dynamic range, composition, emotion and amazement-all will be part of our 2-day excursion into the evolving world of digital photography. Enrollment limited to 10 people. 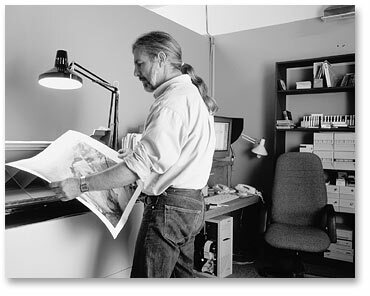 You are offered a chance to attend an intimate small workshop with photo realist master Bert Monroy. 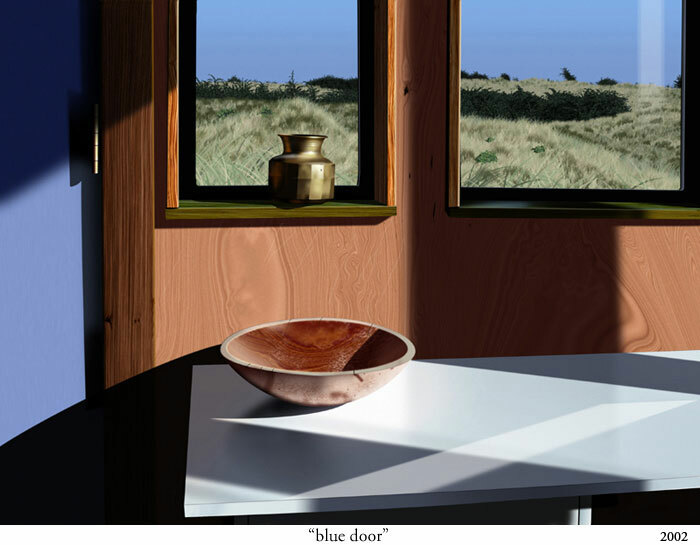 In this one-day workshop Bert will lead you on a journey taking the blank screen and, with the power of Photoshop, turning it into a work of art. You will learn the techniques he's developed over the years to create realistic images that boggle the imagination. It's the perfect seminar for Photoshop users, photographers and illustrators alike! You will master features overlooked by most people, yet powerful enough to make any imagined effect a reality. Bert will inspire you to look at Photoshop in ways you never thought possible. Art seems rarely achieved through complex techniques, hidden features or secret workflows. This is particularly true in the digital era where the distraction of the software itself can make the creative process become stymied in menus and self-doubt regarding using the program to its fullest potential. Add to this a steep learning curve inherent in the current transition to digital photography and you have a situation where state-of-mind can effect results more than vision. Any state of technology in flux, and in demand, also produces many willing to share their expertise. The seduction of photography as a career, combined with the vast reach of the internet, has produced a unique opportunity for those interested in a platform from which to pontificate, some well informed, some anxious to be noticed. It could be said that this very column is such a platform. My concern is the level of distraction I am seeing in people struggling to understand this new medium of digital photography. I've seen people expend hours and hundreds of dollars pursuing complex solutions to problems that really didn't exist. They were sure though, that they had to follow some special path because they read it on the internet, usually from someone with little or no reputation as a photographer or educator. These "special techniques" are often employed before an understanding of Photoshop's built-in capabilities are understood, adding inexperience to sometimes questionable information, wasting aspiring photographers' money, time, and more important, their emotional commitment which can be heavily impacted from great effort and less than remarkable results. Contributing to this seems to be a conspiracy of unrealistic expectations. Manufacturers often contribute to this by promising print sizes well beyond their camera's resolution capability. The seduction of big prints from moderate files leads many to lower their image quality expectations, rather than raise image quality, which is what I think can happen with digital imagery. 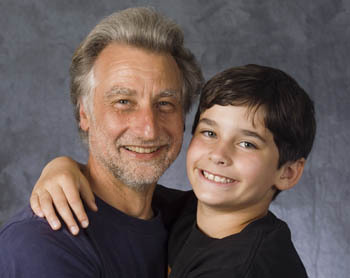 Also contributing is the "Tips and Tricks" mentality that has permeated the Photoshop experience since the early 1990s. Solid image editing is far less about secrets, trickery, hidden features and shortcuts, than it is about knowing your goals, and methodically working toward them. In the same sense that many software packages have promised to transform photographs into "art" (without even realizing the insult that statement carries), many workflows, plug-ins and Photoshop Actions now promise truly innovative and professional results if only you will use their stuff instead of the mere pre-packaged Photoshop capabilities. While there is real innovation and sophisticated interaction with digital images made easier by many of these offerings, far more seem to be distracting users from the real issues at handmaking better photographs, heartfelt and strongly seen. There is a presumption that one can process a photograph into significance. More energy seems to be expended on editing the photograph in Photoshop than spending time making the photograph. If a day ends with hundreds of images having been made, you are either in the midst of exploding events, in a place beautiful and complex almost beyond belief, or possibly you are being haphazard in your making of photographs, hoping for one or two to be successful. Casually seen photographs are usually casually appreciated at best. Intensity and strength far more often comes from time spent and care expended. I would strongly urge people to think simply, and edit simply. Your photographs are your asset, much more so than your Photoshop skills. Those image-editing skills may well be critical to your craft, but they are secondary to your photographic vision. "Fix it in Photoshop" is a prescriptive attitude that often leads to making images not worth investing time trying to salvage through image editing. from a draft piece for "Stephen Johnson On Digital Photography"